SKU: PIN-SCALAU. Categories: SCA, Peerage Medallions & Pins. In the Society of Creative Anachronism, a laurel wreath is the symbol used to denote those who are members of the Order of the Laurel. Membership into this Order is awarded to those who excel in Arts and Sciences, pass on their knowledge to others, and consistently display of the virtues of grace, courtesy and chivalry. 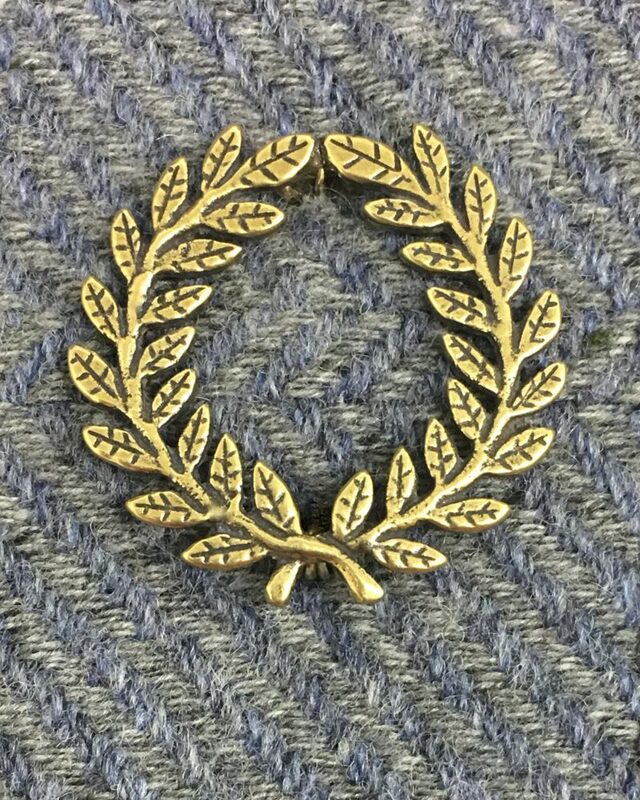 This SCA Laurel Pin is 2” (50 mm) in diameter and comes in both bronze and sterling silver. We also offer a Laurel Medallion.